Sorry if I've bored with all my unfried chicken cooking again as I really like to find a recipe that can bake skinless chicken that is CRISPY! Welcome to part two of my unfried chicken cooking*... baking these chicken along with Lena from Frozen wings and Joyce from Kitchen Flavours. * Part one is at here. Recalling what I did to cook my previous unfried chicken... I was using a highly rated Bobby Deen's unfried chicken recipe from Food Network that uses 98% fat free buttermilk and 99.8% fat free cornflakes to coat the oven baked skinless chicken thighs and enjoyed the moist tender chicken with just the first crunch as the crunching didn't continue. Well, something's gotta give! 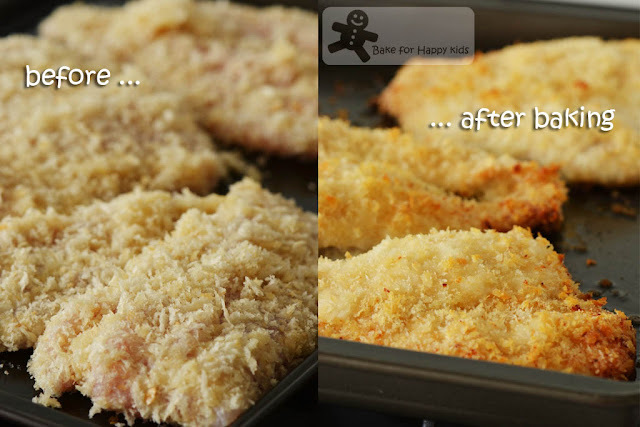 In order to bake CRISPY unfried chicken, we need fat! And this is the recipe that I found that is pretty good. 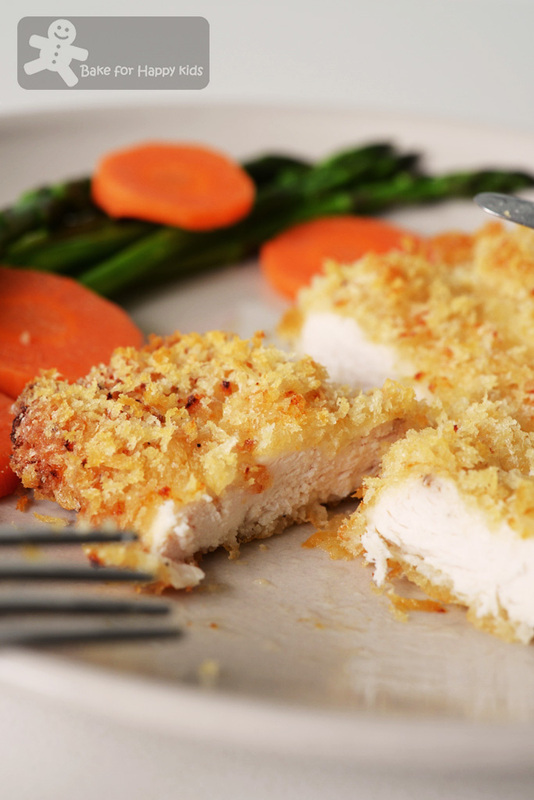 It uses the very fatty mayonnaise and the slightly less fat free (96.8%) panko bread crumbs to coat the skinless chicken breast and can produce unfried chicken to be as crispy as the fried ones! 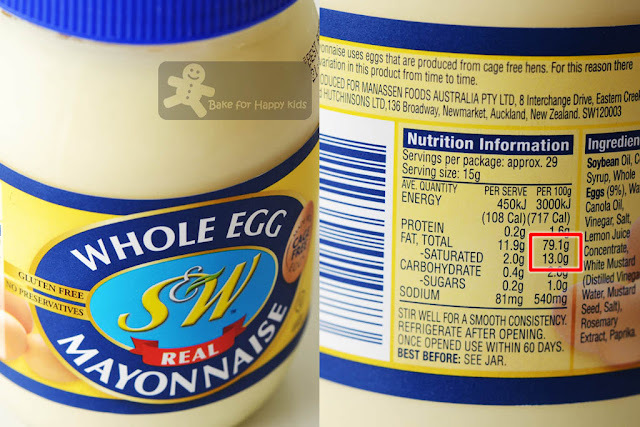 I like to use the whole egg mayonnaise for its creamier taste but it is usually made of about 80% fat! 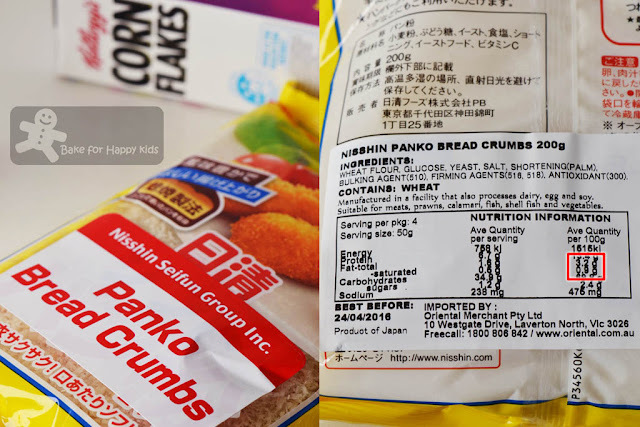 Comparing with the 99.8% fat free corn flakes, the panko bread crumbs is 96.8% fat free. It is better to use panko than other regular bread crumbs as panko are made with more spiky edges to create more crispness. Cutting the chicken breasts in halves and pounding them to an even thickness help to bake the chicken better. Season the chicken with salt, garlic powder and black pepper. Add milk, lemon juice, zest, salt and pepper into the mayonnaise. To be doubly sure that the chicken will be crispy, I have added minimal amount of oil into the panko. Bake chicken in preheated oven tray at 200°C... Otherwise, their base will be soggy! Crunch crunch munch munch... These oven baked chicken are crispy! 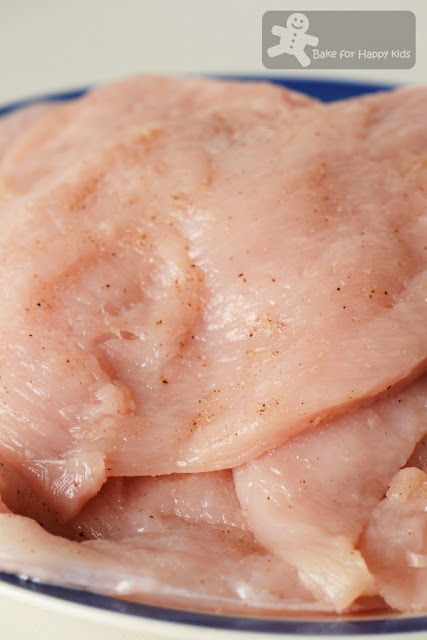 Cut each chicken breast into half crosswise. 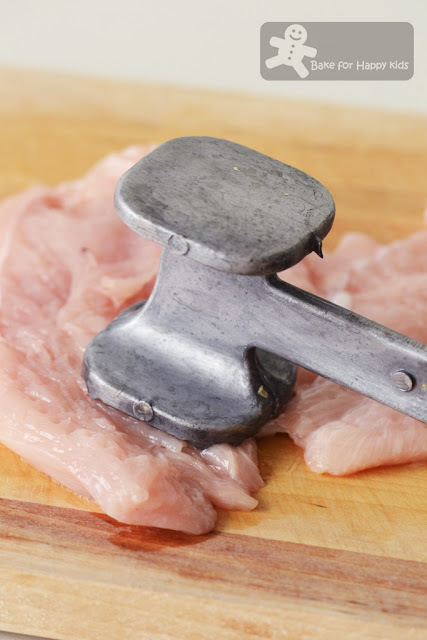 Using a meat mallet, pound each piece of chicken to an even thickness (about 1/2 inch). Combine salt, garlic powder and pepper in a small bowl and sprinkle the salt mixture evenly onto the chicken. Set aside to marinate for about 15 mins at room temperature. Preheat the oven to 400°F or 200°C. Grease a baking tray generously with 1 tbsp oil or more if you wish. Place the greased baking tray in the oven and heat the tray until it is very hot - this helps to prevent the bottom of the chicken from being soggy. Otherwise, you can line a baking tray with foil and place a greased wire rack on the tray and bake the chicken on the wire rack. 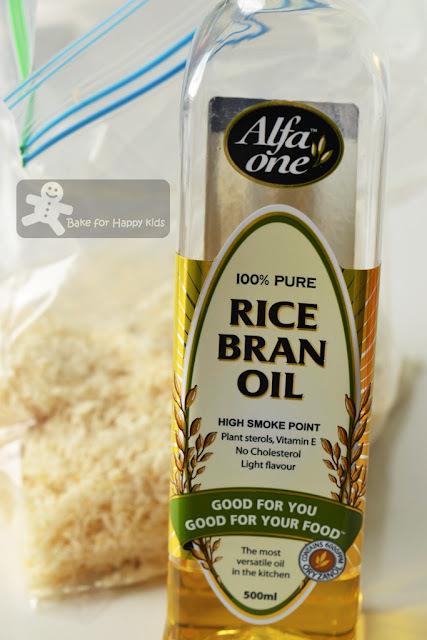 While heating the tray, combine panko and 3 tbsp oil in a zip lock bag or a shallow dish. 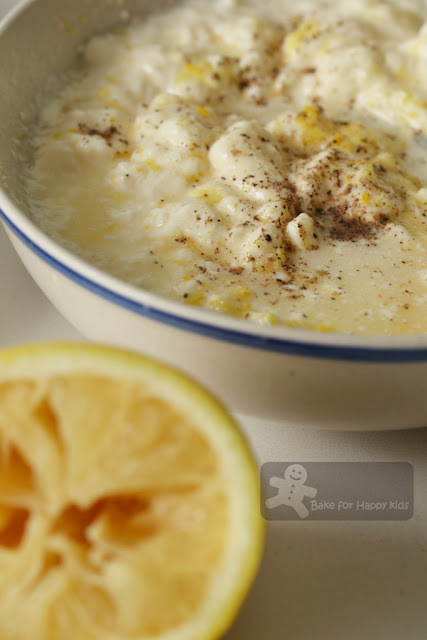 Combine mayonnaise, milk, lemon juice and zest, salt and pepper in another shallow dish and whisk lightly to combine. Set both panko and mayonnaise mixture aside. When the heated baking tray is almost ready, dip each chicken piece in the mayonnaise mixture to coat and then dip it in the panko mixture. Toss well to coat and press the mixture onto the chicken to adhere. When the baking tray is well heated, remove the tray from the oven. Working very quickly; arrange the coated chicken on the heated tray, leaving about 1-2 cm of space in between the chicken. Bake until the chicken is golden brown and thoroughly cooked with NO turning, about 50-55 mins. Please note that baking the chicken not enough can form soggy bottom and so it is important to bake the chicken long enough until the coating is dry. 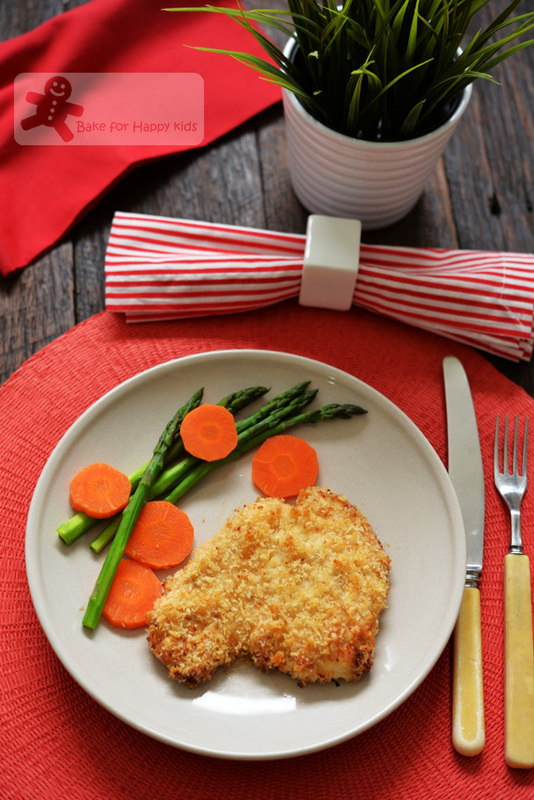 WOW another unfried chicken recipe! Definitely want to add this on my list too. Thanks for sharing Zoe! My mum said panko can really make everything crispy.. But I don't know the bake method.. I know if panko, fried, super crispy !! Very yummy crunchy baked chicken! When you find a great technique, run with it! So I'm happy to see an unfried chicken variation. This looks incredibly tasty -- thanks so much! Love your unfried chicken Zoey, I also made an unfried chicken recipe a while back, and people were asking me about the term 'unfried' and the meaning of it?...it's self explanatory I would think, so crunchy, crispy and light!